Made to accept the challenges of any job, CAT Apparel Men’s 18100069 95G Black Flame-Resistant Cargo Work Pants are the answer to all of your problems. It's hard to find men’s cargo pants that are comfortable, durable, and keep you looking good on the job. Well ... (see full details) (see specifications) #1810006-95G. Made to accept the challenges of any job, CAT Apparel Men’s 18100069 95G Black Flame-Resistant Cargo Work Pants are the answer to all of your problems. It's hard to find men’s cargo pants that are comfortable, durable, and keep you looking good on the job. Well, the search stops with these cargo pants. Made with 9 ounces of 88% cotton and 12% nylon, these CAT pants are the perfect blend of comfort, durability, and style. Dangerous working conditions shouldn't be something you fret about on a daily basis. These flame-resistant pants are made to protect you! Featuring a diamond crotch gusset and articulated knees, these men's pants offer comfort with a classic fit and a wide range of motion for physically demanding jobs. They are also UL certified. This means that they have an HRC level of 2 and 9.5 ATPV. They're NFPA 2112 and NFPA 70E compliant, which means you'll be guarded around working hazards on the job. If you think the flame-resistant and protective features are cool, wait until you read about all the other great things these black pants have to offer. They have 20-inch leg openings that fit over the bulky work boots that your job probably requires. The knee darts are a characteristic that provides articulation for movement and the zip fly with anti-static shank closer keeps you safe from static. Ever wonder how you are going to carry tools, your phone, materials and all the other things your job requires? These flame-resistant pants are made with front reach-in pockets, a cell phone pocket, a ruler pocket, and a pen pocket. They're held together with hook-and-loop closure, too, which adds even more durability. Ever think you would find men's workwear that carries everything you need? 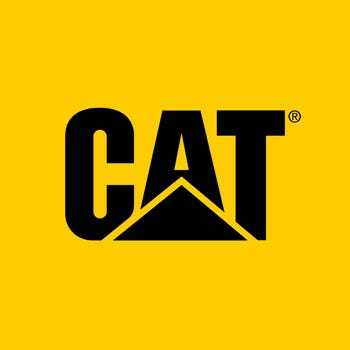 Be ready for all the challenges that the day brings - get a pair of CAT Apparel Men’s 18100069 95G Black Flame-Resistant Cargo Pants and never worry about hazardous jobs or discomfort. Ensure your comfort and safety by placing your order with Working Person's Store today! I work in the liquids transportation industry and am required to wear FR on site. It is hard to find pants with adequate pockets and are comfortable to wear and that won't break the bank. I've finally done it! These pants are loaded with pockets that are actually well placed and sized for my purposes. Another great feature is the gusset in the groin. This really helps with mobility and should hopefully help them to last longer without the dreaded blow-outs. These are sized big. I usually wear 40 or 42's. I ordered a size 42 and they are a size or two too big. My next pair, on their way, will be a 40. Another thing that may be improved on would be larger patches of hook and loop for closing the pockets. or even snaps. If you need to carry stuff in your pockets with all day comfort and have freedom of movement, these are a great option for your hard earned dollars. FR clothing is never cheap. If it is, usually never lasts. These pants have done me very well. I truly enjoy the numerous pockets. I am in inspection so I am normally caring paint marker, cameras, tape measures and other items. These pants allow for some serious gear hauling, and neat appearance. I will soon get another pair. Can't wait to wear them work with electricity so required wearing must have for the job I preform thank goodness my wife looks out for me she hates to spend a lot of money on them these were great quality for a great price. Very well made pants with pockets for everything. I could actually do with less pockets, but I'm pleased with these pants. They are soft and comfortable and seem like they'll hold up over time. These run small and long - I ordered up 1 pant size and down 1 size in length and they fit perfect. Would love it if they were sold in a khaki color option. CAT Apparel Pants: Men's 1810006 95G Black Flame-Resistant Cargo Pants is being added to your cart.